A 17 stone woman who was ‘mortified’ by her holiday pictures vowed to shed her extra weight and did so in spectacular fashion – dropping seven stone and completing a beach babe transformation. 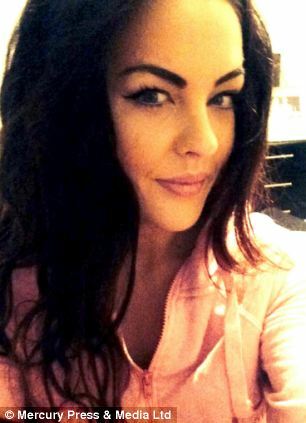 Keri Irvine, 23, from Liverpool went on a trip to Benidorm, Spain, with her friends last year and felt she looked ‘slim and nice’ – but her photographs told a different story. 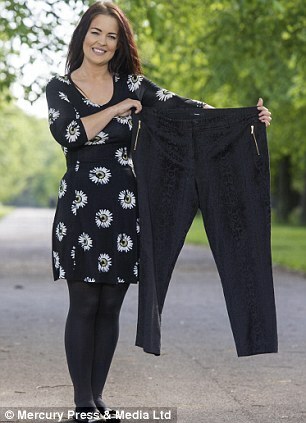 The former Primark sales assistant tipped the scales at 16 stone 11lbs and seeing how large she had become was a shock. Check out ‘The Venus Factor’, one of the most popular fat loss programs for women, online. Since Keri began a strict diet programme her weight has plummeted seven stone – and she is turning heads wherever she goes, weighing a svelte 10 stone. Thrilled Keri said: ‘I was mortified when I saw the holiday photographs. I honestly didn’t realise how big I was until seeing them. ‘I’m going to Turkey this year so the bikinis will be coming out and there will be no covering up. ‘I will be showing of my body now I’m able to fit into smaller clothes. 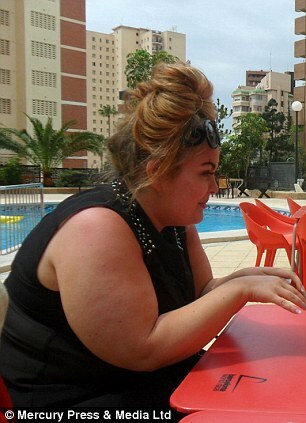 ‘I have always been a shy girl but in Benidorm I never wore a bikini because I looked huge. I didn’t realise I looked so big, though. Unhappy Keri would binge eat on junk food like crisps, cakes, fizzy drinks and sweets to make herself feel better. In a typical day, the brunette would tuck into a Kit-Kat or chocolate bar for breakfast, her lunch would be a sandwich, chocolate biscuits with Coca-Cola and tea would be pizza. After every evening meal, which was always something ‘quick and easy’, like a microwave meal, she would gorge herself on ice cream and puddings. 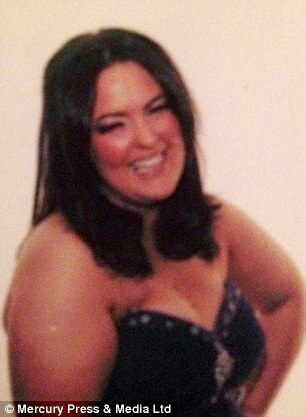 But the 5ft 5in beauty ballooned to an unhealthy weight and fatty foods began to take their toll on Keri’s body. Three years ago, she had to have her gall bladder removed because her diet of junk food caused gall stones. 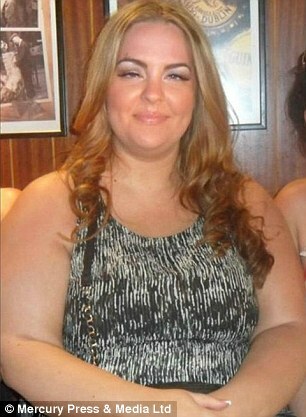 After seeing the holiday photos she finally joined slimming plan Herbalifeplan – and is now a brand distributor. Keri said: ‘Herbalife have a range of foods, like protein bars, vitamins and formulas for milkshakes to fight the flab. The F1 shakes have all the nutrition your body needs to get you through the day. ‘I did the plan because it fits in with my lifestyle if I’m on the go I can just take my shake with me or my healthy snacks. *Shakes are a large part of the diet until target weight is reached. They are then used to help maintain. She said: ‘I was depressed had no social life because I was too scared of what people would think of me. I never talked to boys because I thought they would not like me because of my weight. ‘I hated going out the shop and having to buy size 20 clothing so I would just binge eat to make the feelings go away – but obviously things got worse, a lot worse. ‘I used to be a size 18 to 20 but now I can just pick up a size 10 without trying it on, I feel like a new woman. ‘When I walk down the street or I’m out in town boys I can see boys looking at me, they never used to and it’s nice. Keri will stop having Herbalife products every day on her strict diet regime when she reaches her target weight of nine-and-a-half stone. She then plans to continue to eat healthy months – and use the shakes or low fat snacks to help hr maintain her new weight.